The 31st Annual Northeast Conference on Andean Archaeology and Ethnohistory is less than two weeks away! The finalized program and abstracts can be found here: Download Northeast Andean Meeting Program and Abstracts_2012. The first paper will begin promptly at 9AM on Saturday, October 20th. On Friday, October 19th an informal gathering will take place at 7PM at La Verdad Restaurant. La Verdad is located in close proximity to Kenmore Square and Fenway Park. The address 1 Lansdowne Street, Boston, MA 02215 and the telephone number is (617) 421-9595. The conference venue is located in the Kenmore Classroom Building (565 Commonwealth Avenue). The 31st Annual Northeast Conference on Andean Archaeology and Ethnohistory is less than two months away! Again, the conference will be hosted by Boston University October 19-21, 2012. There is no cost to attend and updated information regarding registration, transportation, and hotels can be found below. As a reminder, the abstract deadline for podium presentations is October 1, 2012 and can be submitted to Jon Bethard <jbethard@bu.edu>. Getting to Boston: Boston is easily accessible through both ground and air travel. Many people commute to the city by bus or train and Amtrak services three stations inside the city. Additionally, low-cost airline carriers such as JetBlue sometimes offer fares that provide competitive prices. Public Transportation in Boston: Information about Boston’s subway system (called the T) can be found by accessing www.mbta.com. Schedules and maps for the subway, bus system, and commuter rail are available at this website. Lodging: The conference is taking place during the same weekend as the Head of the Charles, one of the world’s largest rowing events. As a result, hotel prices in Boston are at a premium. All conference attendees are advised to book their rooms early! *This hotel is located south of the city and is convenient to the Quincy Adams T station. The hotel offers a free shuttle to and from the T station and is approximately 0.75miles by foot. Parking is $9/night. The conference rate at the Boston Marriott Quincy will be honored until September 22, 2012. 15 rooms have been blocked and can be reserved by contacting reservation specialist Anya Wright Senn at (617) 624-0202 or Anya.Wright@hhmlp.com. The conference rate at Bulfinch Hotel Boston will be honored until September 19, 2012. 2012 Northeast Conference Dates and Place-Save the Date! Jon Bethard <jbethard@bu.edu> posts this announcement of the date and place of the 2012 Northeast Conference on Andean Archaeology and Ethnohistory. The 31st Annual Northeast Conference on Andean Archaeology and Ethnohistory will be held October 19-21st on the campus of Boston University. The conference will begin with an informal gathering on the evening of Friday, October 19th, will continue on the 20th with plenary session talks and a keynote lecture by Melissa Murphy (University of Wyoming), and will conclude with a half day of plenary session talks on the 21st. The deadline for abstract submissions is October 1, 2012 and can be emailed directly to Jonathan Bethard (jbethard@bu.edu), the conference organizer. As the conference draws closer, be sure to check the following website for relevant details: http://caralperu.typepad.com/ncaae/. As usual, there is no registration fee to attend. NOTE: A corrected program was uploaded on 10-12-11 at 7:40 pm EST. Here is the final program with abstracts (Download NCAAE 30 Program with Abstracts-Final) and an updated map that has parking lots labeled (View this map). There will be signage to help direct people. See prior messages for housing, Friday night get together, etc. Copies of several titles are severely limited. To reserve any publications in advance, please contact Marla Taylor at mtaylor@andover.edu. As always, there is no registration fee for this conference. However, if you plan to attend and wish to participate in the (free) dinner and keynote talk, we ask that you let us know by Thursday, Oct. 6. Please send a message with the subject: NCAAE Dinner and include your name and the number in your group in the text. If you would like a printed name tag, please make sure we have your name and (if desired) institutional affiliation, also by this Thursday Oct. 6. RS Peabody Museum Director Malinda Blustain sends the following information on housing. Please note deadlines. We have made arrangements for group rates at two hotels, the Andover Wyndham and La Quinta Inn and Suites, that are about a mile apart. A block of 20 rooms was reserved at the Wyndham for the nights of October 14th and 15th at the Wyndham. When booking a room the “Phillips Academy-Northeast Andean Group” must be referenced. The room rate there for a single king bed or two double beds is $99.00 (plus 11.7% tax=$110.58) per night. The triple rate is $109 plus tax ($121.75), and the quadruple rate is $119.99 plus tax ($133.00). Room reservations at the Wyndham must be made by October 7th. Check in is 3:00 PM. Check out is noon. The Wyndham has the On the Bone Steakhouse and two full bars, the On the Bone Lobby Bar and the Character’s Sports Bar and Club, on site, as well as room service and a complimentary continental breakfast buffet. Contact them at 978-975-3600. The La Quinta Inn and Suites is cheaper and has fewer amenities. We reserved a block of 10 rooms there that each have two queen-sized beds. The group rate for these rooms is $73.80 plus taxes ($82.44). Reservations for the La Quinta Inn and Suites must be made by September 23rd. When booking a room the “Northeast Andean Conference” must be referenced. The La Quinta offers a free “Bright Side” breakfast, but does not have a restaurant or a bar on site. Contact them at 1-978-685-6200. The Inn is willing to offer a 10% discount for lunch Sat and Brunch on Sunday to your attendees. We would like to encourage them to make reservations. When you send your next e-mail, could you include this information and contact phone number for the Inn 978-775-4910 or www.opentable.com to make reservations. When they arrive, all they have to do is mention they are part of the Peabody Convention to receive the discount. The lunch menu selection is very reasonably priced and all they need to do is walk across the street! The brunch on Sunday is incredible! The 30th Annual Northeast Conference on Andean Archaeology and Ethnohistory will take place on Saturday-Sunday, Oct 15-16, 2011 at the RS Peabody Museum of Archaeology in Andover, MA. The conference will begin with an informal gathering on the evening of Friday, Oct 14, will continue on the 15th with plenary session talks, a reception, dinner, and a keynote talk by Richard Burger (Yale University) on Hiram Bingham and Machu Picchu, and will conclude with a half day of plenary session talks on the 16th. Abstracts (1 page max) are due by Friday, Sept 30 and should be sent to me at dan.sandweiss@umit.maine.edu. The final program will be distributed via this list on Oct 3. I would be grateful if you could bring this announcement to the attention of colleagues who may not be on the list. The 30th Annual Northeast Conference on Andean Archaeology and Ethnohistory will take place on Saturday-Sunday, Oct 15-16, 2011 at the RS Peabody Museum of Archaeology in Andover, MA. The conference will begin with an informal gathering on the evening of Oct 14, will continue on the 15th with plenary session talks, a reception, dinner, and a keynote talk by Richard Burger (Yale University) on Hiram Bingham and Machu Picchu, and will conclude with a half day of plenary session talks on the 16th. Maria Masucci <mmasucci@drew.edu> sends this link to the website with the schedule of papers and abstracts for the upcoming Northeast Conference on Andean Archaeology and Ethnohistory, to be held this coming weekend at Drew Univewrsity in New Jersey, USA. The conference is free, but Maria asks that you register in advance by filling out and returning the form on the website to help planning (on-site registration is permitted). now available on the website. Follow the link for Schedule and Abstracts. Please continue to send registrations as it helps us calculate the number attending. Plan Now for the 29th Northeast Conference on Andean Archaeology and Ethnohistory! Please join us on Oct. 23-24, 2010 at Drew University, Madison, NJ for the 29th NCAAE. There is also a link to General Information and information on Travel and Accomodations. 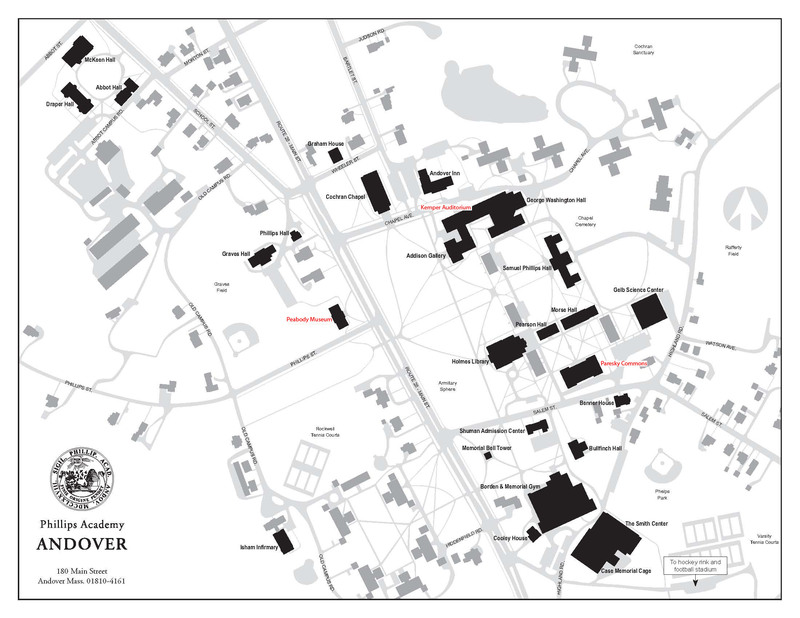 list) as well as a map of campus with the conference location marked. the conference and posted on the conference website. Otter beginning around 6:00 (or whenever you get into town). The deadline for abstract submission for the 28th Northeast Conference on Andean Archaeology and Ethnohistory is September 26th. My articles on the Chachapoyas are also available on the website. John Verano will be delivering the keynote lecture at the 2009 NCAAE meetings on Saturday Oct 3rd, entitled "Andean Bioanthropology: Trends and Developments". Ken Nystrom has provided the two forms linked below: information on New Paltz and a Registration Form. The website for the conference is still under construction, but if you have questions, please email Ken at: <nystromk@newpaltz.edu>. He recommends to all who are planning on attending to get hotel rooms as soon as possible as weekends in October are popular with tourists and hotels fill up quickly. Please note that there is no registration fee; the form is just to help determine number of participants. If you have digital photos from any of the Northeast Conferences and are willing to have them posted on this site, please send them to me at grad.dean@umit.maine.edu as jpegs. Program notes (who is in the photo) would be helpful but not essential. The following table lists the year, place, and (where available) website for all past iterations of the Northeast Conference on Andean Archaeology and Ethnohistory. If you have a functioning link to a conference website not listed here, please send it to me at dan.sandweiss@umit.maine.edu. Richard Daggett wrote a history of the first 18 years of the NCAAE ("The Northeast Conference on Andean Archaeology and Ethnohistory: The First Eighteen Years," by Richard E. Daggett, Andean Past 6:309-345 (2001)).